SpaFinder.com Wellness Week Exclusive Specials! Real Hollywood Secrets. Meet the Beverly Hills doctor behind all the celebrity beauties. Now you can learn the secrets that has everyone in Hollywood glowing! Join us for a beauty seminar and learn the different options of looking and staying beautiful. Learn the importance of anti aging vitamins, proper skin care, and getting facials regularly- and find out if a Liquid Facelift is right for you. Get the scoop on how the stars get luscious lashes and pouty lips and how to take years off your look with only a few changes. Download our new iPhone app for free to preview just a few of the tips and give yourself a virtual makeover. There will be plenty of time for Q&A while you enjoy beverages and fresh fruit. BOTOX® Cosmetic is an amazing treatment to remove wrinkles such as frown lines, forehead wrinkles, and the wrinkles around the eyes via injection of a pharmaceutical. BOTOX® Cosmetic can also be used to lift the eyebrows and soften the aging of the neck. It is extremely safe, effective and simple, with no down time and fabulous results. JUVÉDERM® is the latest dermal filler advance from Allergan Inc. JUVÉDERM® is a “next generation” smooth gel, non-animal dermal filler offering a natural look/feel and long-lasting results for up to six months or longer. JUVÉDERM® dermal filler lasts long because it’s the only dermal filler currently available with the highest concentration of hyaluronic acid and a special formulation process. This process creates a smooth gel that flows easily into the skin, creating smooth, natural looks. All other currently approved hyaluronic acid dermal fillers use a gel particle suspension formulation. These gel particles can be visibly seen as opposed to the smoother formulation used in JUVÉDERM®. The smooth consistency of JUVÉDERM® dermal filler also may help to minimize the discomfort that can sometimes occur during the injection procedure. All Lift Md Aesthetics® products will be at a special 20% discount during the event or the week if you book a treatment or attend a seminar. Go to http://www.spafinder.com and enter you city and zip code. 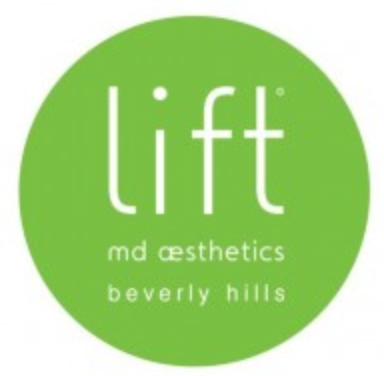 You will see Lift MD Aesthetics® pop up and our event details will be listed. Next ›Ask Dr. K: How Do I Know if I Need My Implants Replaced?